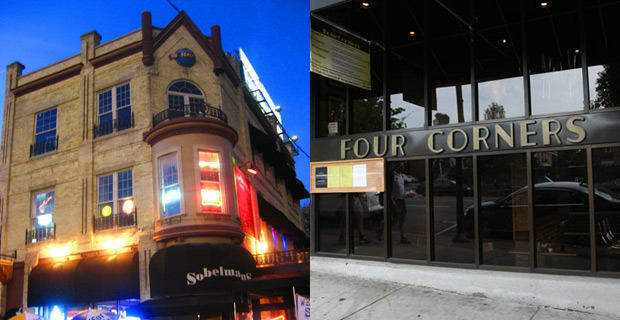 Voted the best Marquette bar in 2009, Sobelman&apos;s is legendary because of its burgers. The Big SOB boasts four 1/3 pound patties, 12 slices of cheese, bacon, grilled onion, and jalapeno. Sounds like a meal for a Golden Eagle (Tar Heel souffle is for dessert). The way people talk about this spot, the taps must drip Tar Heel blue. An ideal spot for catching true fan fervor (it&apos;s named after the pre-shot clock stall game Dean Smith invented), Four Corners also has quality specials. Miller Lite pitchers for $7 if you&apos;re into that. Make sure you stay rabid and you&apos;ll blend in fine, regardless of what you&apos;re toasting with.